We receive many inquiries from individuals who are thinking about joining us on the water, yet are unsure which course(s) to sign up for. While there are certainly different things to consider, we’re confident that we can help you choose the best course to suit your needs. All of our Sailing courses focus on becoming a sailor, which means much more than just learning to sail. Each course takes a “hands-on” approach, and the majority of class time will be spent in boats on the water. Our instructors are fine sailors themselves, each possessing good judgment and a knack for instilling confidence in a positive environment. Our classrooms are beautiful, wooden sailing and rowing craft that are a pure joy to step aboard. Our waters offer some of the finest sailing and cruising in the world. 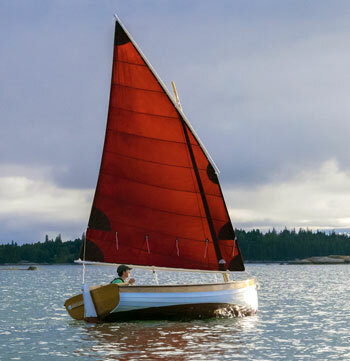 WoodenBoat School’s Sailing program has something for everyone, beginner to experienced. A wonderful introduction to the art of sailing is our very popular Elements of Sailing course, offered throughout the season. For practical reasons, step two could be repeating Elements with another set of instructors. It is easy to forget information from one season to another, especially if you don’t have access to sailing where you live. The next step would be Elements II. 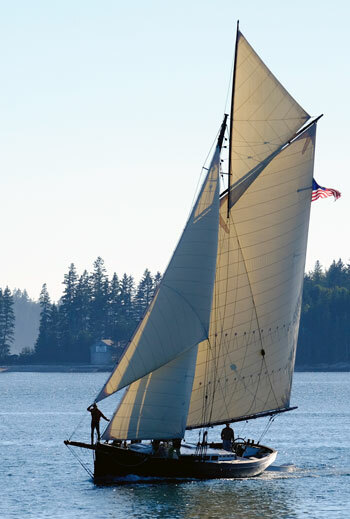 Our Craft of Sail, Sailing Gladiator, and Sea Sense Under Sail selections get more experienced students out on an exciting array of larger sailing vessels. And, for those folks looking for a unique “liveaboard” experience, we offer Coastal Cruising Seamanship and Tall-Ship Sailing & Semanship. You’ll also find excellent opportunities to gain experience in coastwise navigation. So, take your time and read through these web pages slowly. Please keep in mind that we’ll be glad to help you with any decisions that may prove difficult; just get in touch with us. Choosing the appropriate course brings not only the exhilaration of learning new skills, but the satisfaction of time well spent for everyone involved.